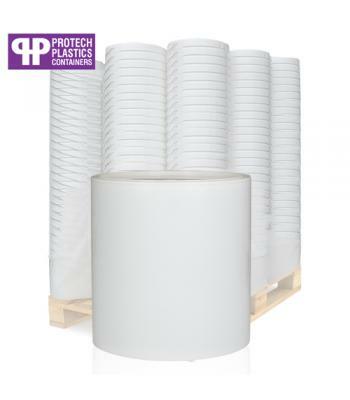 Protech Performance Plastics are one of Europe's leading plastic packaging manufacturers. Protech have over 40 years of industry experience and they continue to follow strict quality control regulations, with a host of industry accreditations to their name. Protech have a zero landfill policy, as part of their commitment to sustainability. 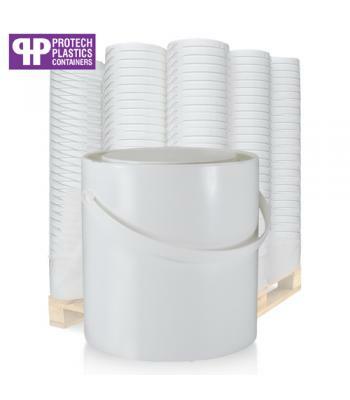 Although Protech specialise in plastic buckets, they also manufacture high quality plastic paint containers. As well as paints, these containers are equally suitable for adhesives, cleaning agents, coatings, varnishes, sand and aggregates. Our paint container selection consists of 1 litre, 2.5 litre and 5 litre sizes. 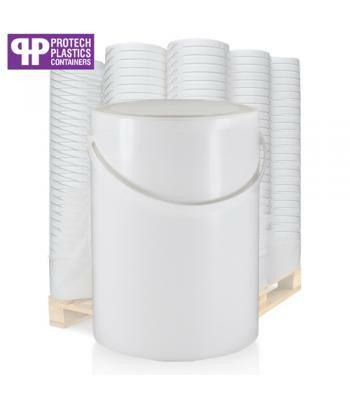 These round paint containers are manufactured from white polypropylene (PP) plastic and they come with push down lids as standard. The 2.5 litre and 5 litre containers both have an attached, skirt hugging handle, for ease of carrying.